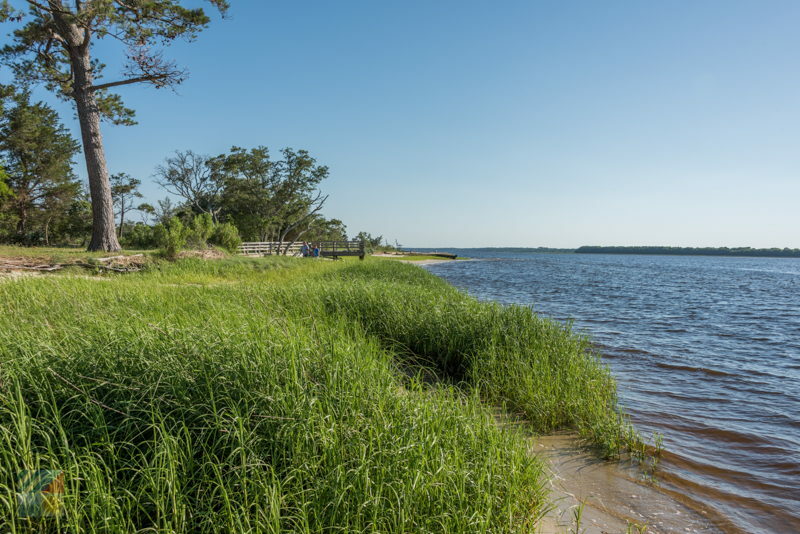 The park, which covers 761 acres of Carolina Beach or Pleasure Island, is a blissful retreat for nature lovers, kayakers, boaters, hikers, joggers, bird watchers, and naturalists of all genres. With rare and unique species that can only be found in this region of North Carolina, and endless active ways to explore the terrain, Carolina Beach visitors will be pleasantly surprised by this expansive and quiet off-the-beach destination. Many archeologists believe that the park, located adjacent to the banks of the Cape Fear River, was originally home to the Cape Fear Indians. Recent excavations within the park, which produced a number of finds including pottery shards, arrowheads, and mounds of oyster shells, support this theory, in addition to multiple accounts of hostile natives disrupting colonization efforts in the early 1700s. By 1726, however, the Indians had been driven out, and a permanent settlement had been formed along the lower Cape Fear. As trade and commerce boomed, passing mariners from as early as 1663 used "Sugarloaf," a 50-foot sand dune located near the park's river banks, as a navigational marker, and later during the Civil War as a defense for the Confederacy against the Union's assault on the Port of Wilmington. 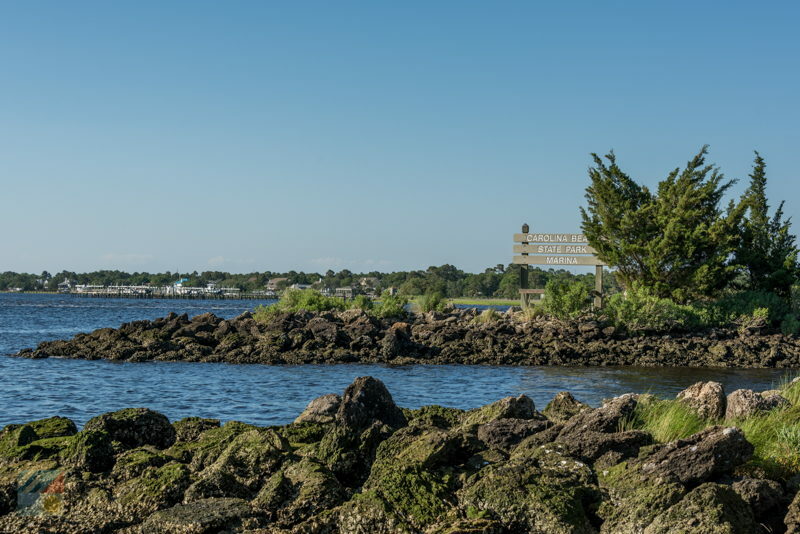 The territory certainly had a long history of use, but didn't become an official park until 1969, as part of a statewide effort to preserve the unique environment along the Intracoastal Waterway. Located on a triangle of land of what is now known as "Pleasure Island," while other regions of Carolina Beach and Wilmington's development skyrocketed, the park has remained a scenic, quiet wilderness refuge where local city-dwellers and visitors alike can escape into the quiet natural surroundings. The park is comprised of unique patches of maritime forests with sand trails navigating through the woods, tall sand dunes and soundside beaches, and acres of Pocosin wetlands. This diverse collection of ecosystems allows the park to serve as a home to thousands of varying native residents, including white-tailed deer, raccoons, gray squirrels, cottontails, anoles, gray foxes, river otters, and even an occasional alligator. Bird watchers adore the area as well, for its wide variety of migrating and full-time species, including brown pelicans, finches, woodpeckers, yellowthroats, prairie warblers and ospreys. However, the Carolina Beach State Park is arguably best known for its plant life, as the marshy regions are home to one of the largest concentrations of rare carnivorous plants in coastal North Carolina. Plant lovers should keep their eyes peeled for low lying butterworts, bladderworts, colorful pitcher plants, and even Venus flytraps, which are located in bunches along the wetlands. Park patrons are asked to not remove any of these rare species in order to keep them thriving in their natural habitat, but can visit local Wilmington nurseries to pick up their own budding coastal carnivore to take home. Folks can even camp within the park for an extended outdoor adventure at one of 83 secluded campsites, each equipped with a picnic table and grill, and close to the public water, restrooms and shower facilities located nearby. There are also two handicapped-accessible sites, in addition to two group sites which can accommodate 25 or 35 people respectively, and which must be reserved well in advance. For more information on camping or docking fees and reservations, visit the park's website. ibits. Patrons can get a close look at the carnivorous species that the park is known for, as well as enjoy hands-on activities and interactive games and quizzes that introduce newcomers to this diverse coastal territory. The Visitors' Center and exhibit hall which showcases the carnivorous plants are both open daily, year-round, from 8:00 a.m. until 5:00 p.m. The Carolina Beach State Park itself has seasonally changing hours that range from 8:00 a.m. to 10:00 p.m. during the height of summer to 8:00 a.m. until 6:00 p.m. in the wintertime. The marina and fuel dock are also open daily, but have varying hours of operation as well, and a complete list of seasonal times and dates can be found online. Visitors should also check out the myriad of activities hosted by the park, many of which are free to visitors. 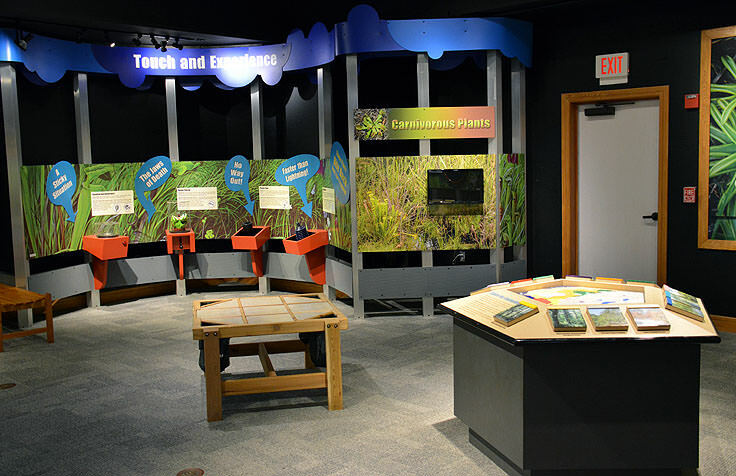 From guided Carnivorous Plant Hikes to explorations of the wetlands, visitors will find that virtually every Saturday morning features an educational and free adventure that sheds new light on the area. The Carolina Beach State Park is a remarkable natural attraction that's close to the restaurants and hotspots of Carolina Beach, but feels likes its miles away. 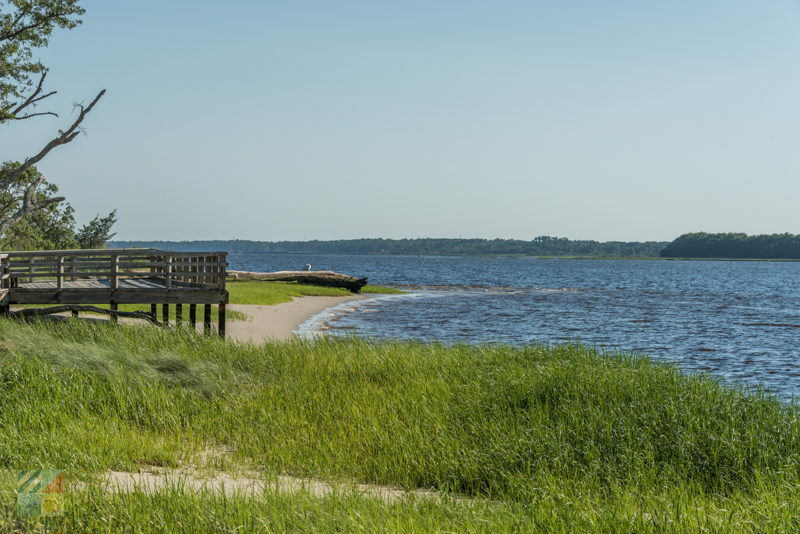 A haven for nature lovers who love nothing more than exploring new coastal terrain, the park allows all Carolina Beach visitors to enjoy a hike, boat tour, or other fantastic adventure through Coastal Carolina's wild side. Where is Carolina Beach State Park? Carolina Beach State Park is located on the western edge of Carolina Beach, bordering the Cape Fear River. It’s situated on a triangle of land known as Pleasure Island, which is bordered to the east by the Atlantic Ocean, and which is bordered to the north by Snow’s Cut – a part of the Intracoastal Waterway. What is Carolina Beach State Park? Carolina Beach State Park is a North Carolina State Park that covers 761 acres in the town of Carolina Beach, and which borders the Cape Fear River. The park is known for its on-site marina and camping facilities, numerous nature and hiking trails, and unusual wildlife which includes one of the largest natural collections of rare carnivorous plant species in North Carolina. When was Carolina Beach State Park established? The Carolina Beach State Park was established in 1969 as an effort to preserve a unique environment that’s located along the Intracoastal Waterway. Can you camp in Carolina Beach State Park? 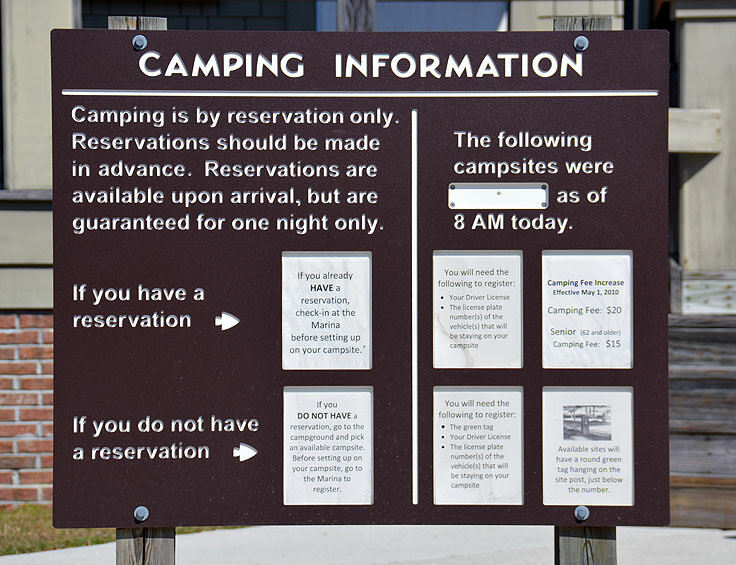 Camping is allowed and encouraged in Carolina Beach State Park, and the park has more than 80 shaded sites for tent and trailers campers, as well as nine sites for RV/trailers with full hook-ups (water, electric and sewer), and two wheelchair-accessible sites. 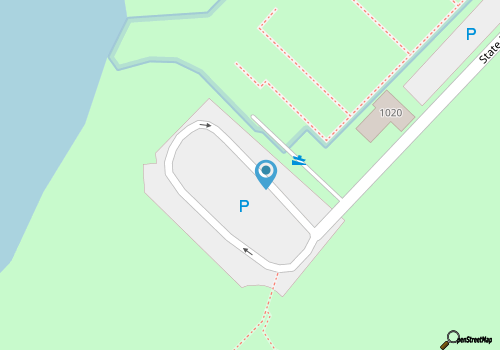 Though facilities are primitive, each site features a picnic table and grill / fire ring, and drinking water and bathrooms with showers are located nearby. Can you hike in Carolina Beach State Park? There are seven miles of hiking trails within the Carolina Beach State Park, which includes several handicapped-accessible trails. The total of nine trails can range in length from .35 miles to 3 miles, and often interconnect for lengthier exploring. Is there a fee to visit Carolina Beach State Park? 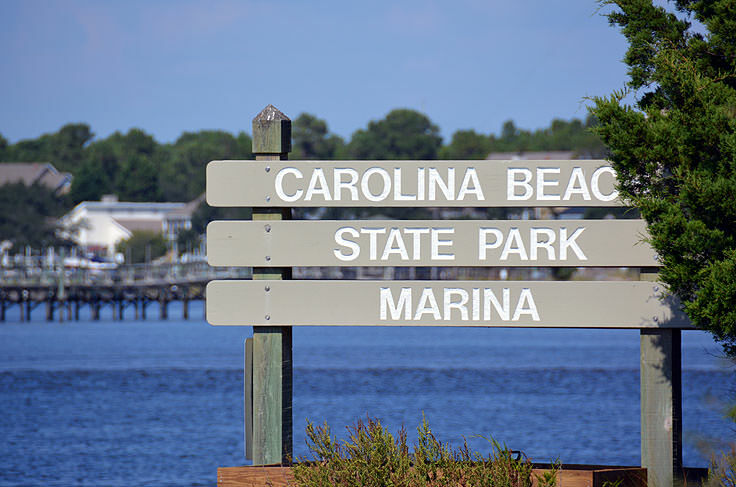 There is no fee to visit Carolina Beach State Park and enjoy the scenery and the nature trails, however there is a fee for some of the park’s facilities, which includes the area’s marina, (for both launching a boat and for slip rentals), as well as the park’s campground. How large is Carolina Beach State Park? The Carolina Beach State Park includes 761 acres of natural landscape on Pleasure Island. How do you get to Carolina Beach State Park? Visitors from Wilmington and all parts west or north can reach the Carolina Beach State Park by heading south on U.S. 421. Visitors from the south can take the Fort Fisher – Southport Ferry and head north along U.S. 421, or can drive around via Wilmington and Carolina Beach. Are there mosquitos in Carolina Beach State Park? Due to its natural location by the water, and limited human population, the Carolina Beach State Park can be thick with mosquitos in the summer months. Visitors are advised to bring along bug repellent, especially when camping, hiking, or exploring the inland regions of the park that are not directly on or in the Cape Fear River. How can you see the carnivorous plants in Carolina Beach State Park? There are several hiking trails which wind through the landscape, and which provide up-close views of the famous and rare carnivorous plants that naturally grow within the Carolina Beach State Park. In addition, the park regularly offers guided tours and programs throughout the warm weather months that spotlight these unusual species. Can you boat in Carolina Beach State Park? 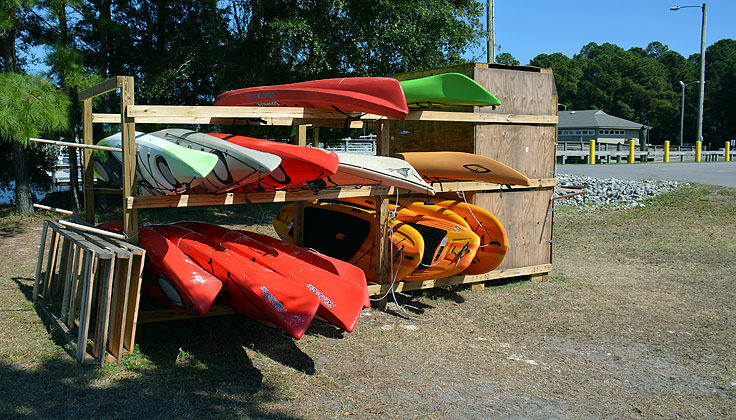 Are their boat or kayak rentals in Carolina Beach State Park? A seasonal concessionaire called Paddle NC provides stand-up paddle board and kayak tours and rentals during the warm weather months for explorers. There are no motorized boat rentals available within Carolina Beach State Park. Can you fish in Carolina Beach State Park? There are several fishing spots within the Carolina Beach State Park, which includes the banks of the Cape Fear River, and a wheelchair-accessible fishing deck. The park’s marina also has two boat launches that are open to the public for a small fee. A North Carolina Coastal Recreational Fishing License - also known as a saltwater fishing license - is required to fish in the park. What can you catch if you fish in the Carolina Beach State Park? Can you swim in Carolina Beach State Park? Swimming is not allowed throughout the park, due to dangerous and swift currents, as well as steep drop-offs that are close to shore. 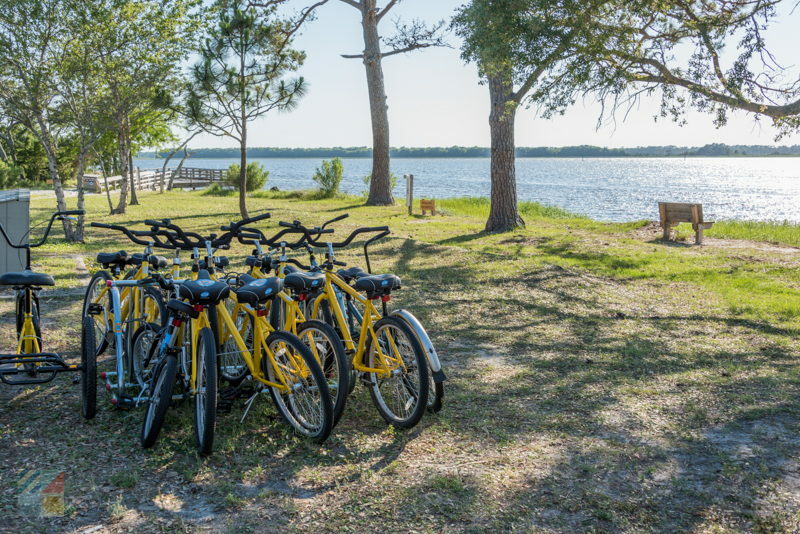 Can you bike in Carolina Beach State Park? Bicycles are not allowed on any of the seven miles of trails within the Carolina Beach State Park. Can you dock at the Carolina Beach State Park? 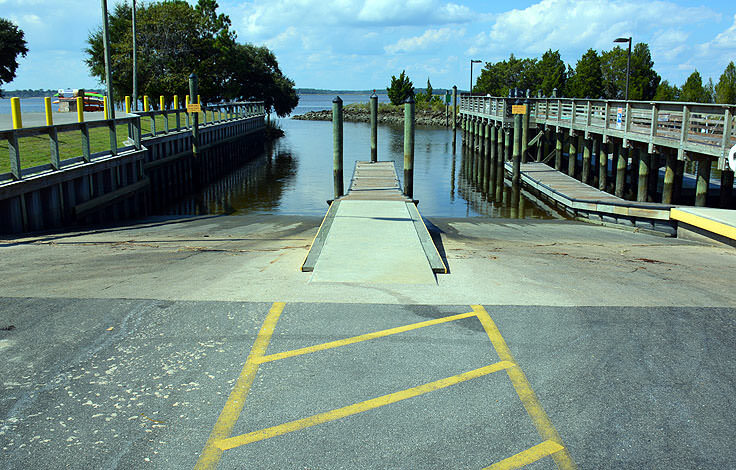 The marina at Carolina Beach State Park has 54 boat slips, which includes transient slips for visitors to the Carolina Beach area. Transient slips are available on a first-come, first-serve basis, and mariners can stay no more than 14 days within a 30 day period. A marina store, restrooms, laundry facilities, and hot showers are all located nearby. Are there long-term slip rentals at Carolina Beach State Park? Carolina Beach State Park does have long-term slips available, and applications for these slips are required. Applications can be picked up at the park, and one month, six month, and twelve month leases are available. What size boats can the Carolina Beach State Park marina accommodate? The boat slips within the Carolina Beach State Park can accommodate vessels up to 40 feet. 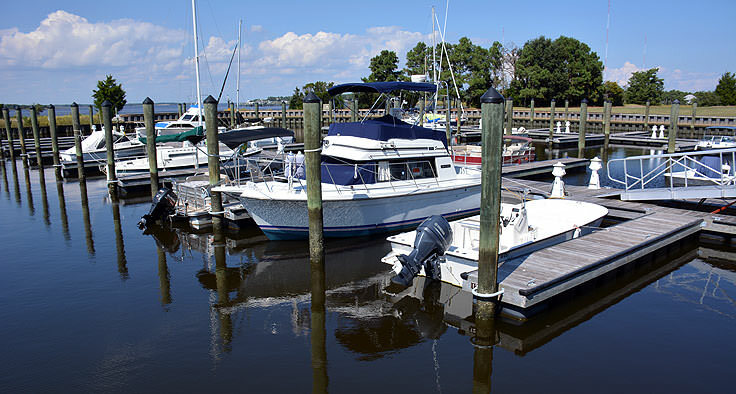 How much does it cost for a slip at the Carolina Beach State Park Marina? The cost of the boat slip depends on the size of the vessel, as well as the length of stay. Overnight transient fees are roughly $30 per night, while monthly boat slip leases can range from around $250 per month to $419 per month, depending on the size of the boat. Can you have a wedding or special even at the Carolina Beach State Park? Special events, including weddings and receptions, corporate events, athletic contests, and private parties, are allowed within the Carolina Beach State Park. A Special Activity Permit and a fee of around $35 is often required, and can be obtained at the park office before the event, or online at https://files.nc.gov/ncparks/37/special-activity-permit.pdf. Are there snakes at the Carolina Beach State Park? There may be poisonous snakes within the Carolina Beach State Park, due to the warm and temperate climate, as well as the natural terrain. Visitors are advised to wear closed toe shoes and to stay aware of their surroundings while exploring the park. Are there shells at the Carolina Beach State Park? Because of the steep shoreline that borders the Cape Fear River, there are not many shells to be found within the borders of Carolina Beach State Park. With that being said, the ocean-facing beaches located just across the highway are known for decent shelling, especially after fall and winter storms. Where can you stay near the Carolina Beach State Park? There are a variety of campsites available within the Carolina Beach State Park for tent and RV campers, and the town of Carolina Beach has a myriad of other accommodation options as well, including hotels, motels, resorts, vacation rental homes and condos, and privately owned campgrounds or RV parks. Are there special events at the Carolina Beach State Park? The Carolina Beach State Park hosts a wide array of events and programs for visitors on a regular basis, and especially in the summer months. Regular and recurring events can include guided carnivorous plant hikes, sea turtle talks, special programs for kids, and other informative events. These programs occur almost daily in the summer months, and occur on weekends in the spring and fall, and guided hikes and talks are generally held multiple times throughout the day. What kind of wildlife can be found at Carolina Beach State Park? The Carolina Beach State Park is well known for its naturally growing carnivorous plant species, including the Venus flytrap which is only native in North Carolina within 60-70 miles of the city of Wilmington. In addition, the park is a great destination for birdwatchers, and attracts both woodland birds as well as migrating coastal species. The park is also home to a number of mammals, including white-tailed deer, raccoons, gray squirrels, opossums, cottontails, and the occasional river otter. Are there alligators in the Carolina Beach State Park? Alligators have been spotted on occasion at the Carolina Beach State Park, and particularly close to the local marina. What are the habitats within the Carolina Beach State Park? The Carolina Beach State Park is unique in that its coastal locale features a wide array of habitats. These habitats include wooded forests, relict sand dunes, dense shrub swamps, (also known as pocosins), Cape Fear Riverfront, and brackish marshes. Where can you eat at Carolina Beach State Park? 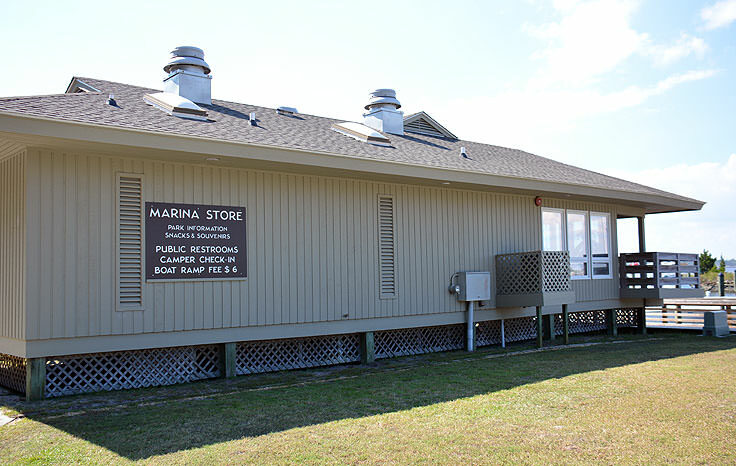 The marina’s ships store at the Carolina Beach State Park features a wide array of snacks and drinks for park visitors. In addition, the surrounding town of Carolina Beach features dozens of restaurants and a number of grocery and convenience stores. Are there restrooms at the Carolina Beach State Park? There are restrooms within the Carolina Beach State Park, which includes facilities with hot showers for visitors staying at the campground or at the park’s marina. Is there a visitors’ center or museum for the Carolina Beach State Park? 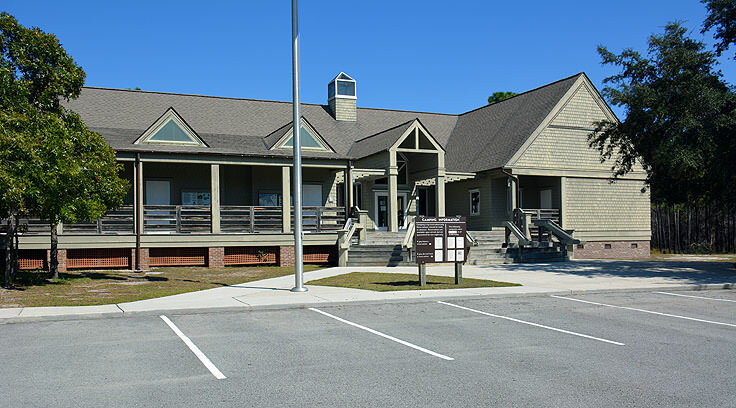 A visitors’ center is located by the entrance of the Carolina Beach State Park, which features a wide array of information and displays on the various wildlife found within the site. 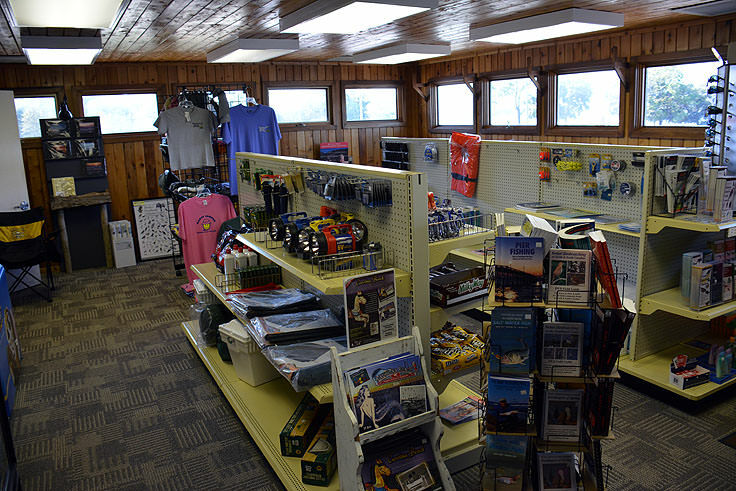 The visitors’ center also features information on guided hikes, educational programs and events, and camping. Are there cabins at the Carolina Beach State Park? The Carolina Beach State Park has four camper cabins which are found within the campground. Each cabin features a heating and air-conditioning unit, as well as two rooms with a double bed and two sets of bunk beds. Do you need to make a reservation for camping at the Carolina Beach State Park? Reservations are highly recommended for folks who want to stay at the Carolina Beach State Park, as sites can fill up quickly, especially in the summer months. Campsite reservations can be made online at https://www.ncparks.gov/carolina-beach-state-park/camping, and two-night minimum stays may be required on holiday weekends, including Memorial Day, July 4th, and Labor Day weekends. Can you picnic at the Carolina Beach State Park? Carolina Beach State Park features a number of public picnic facilities, which are close to Snow’s Cut and which are situated in between the campground and marina. Picnicking sites include tables and grills, and water, bathrooms, and parking are all located nearby. What attractions are close to the Carolina Beach State Park? Carolina Beach State Park is within easy driving distance of a number of Pleasure Island attractions, including the North Carolina Aquarium at Fort Fisher, and the Fort Fisher Historic Site. In addition, the park is a relatively short drive away from Wilmington, which is known for its historic downtown, museums and attractions, shopping, and dining. Call 910-458-8206 for current hours.